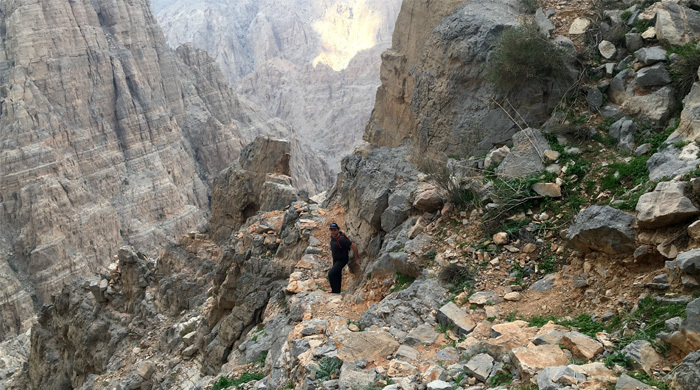 It is a short off-road drive into the valley which is not really challenging and can be done with no support vehicles. 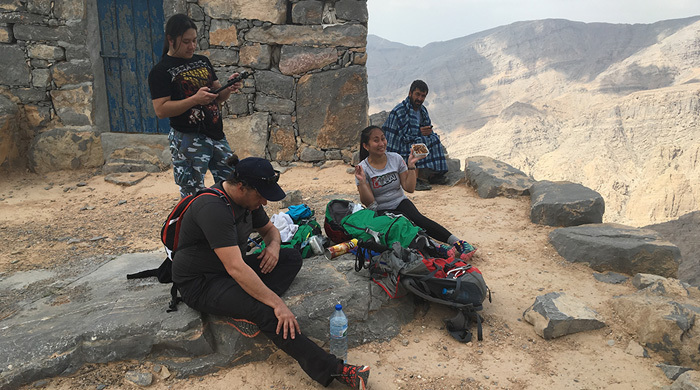 The hike is a great hike in the UAE and has been cleaned up in the past – before it was litter all over the place. 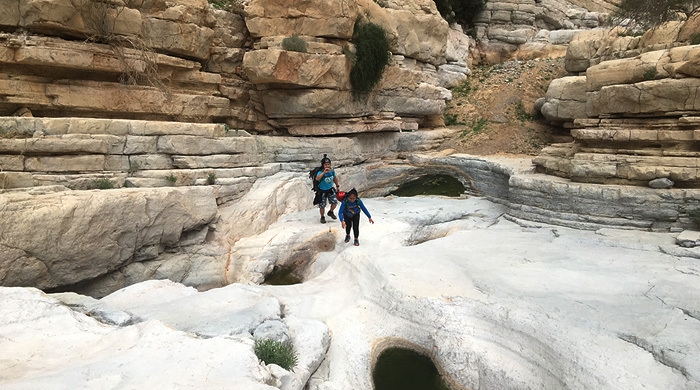 The trail leads down a wadi with some stairs and a small cave up to the top of the plateau with a village which is still inhabited by some herders. A few parts are exposed but generally it is good tracks. Without the help of a GPS it is easy to loose your way so better to use a GPS.